Hello everyone! 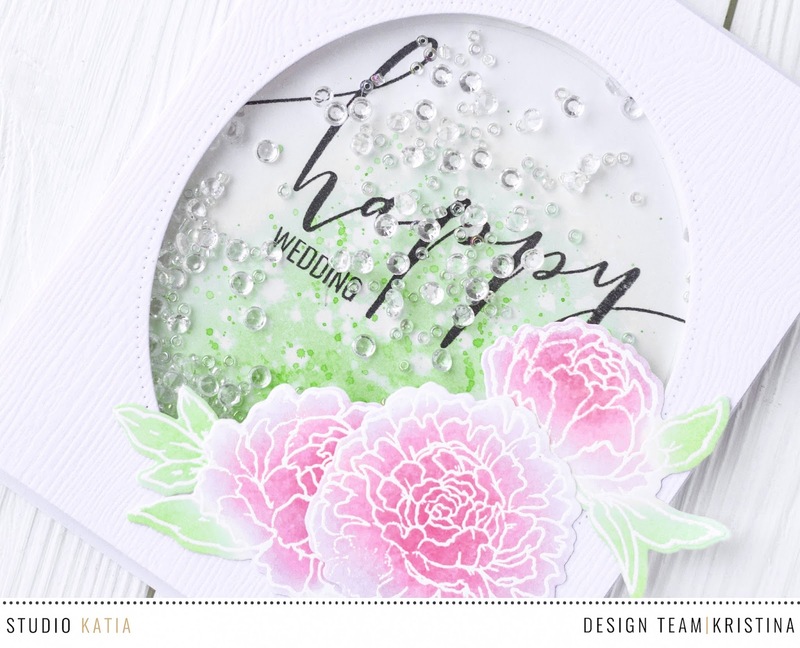 Today I want to show you my shaker card with gorgeous Together We Bloom stamp set from Studio Katia. First I’ve stamped all the images with VersaMark ink and heat embossed with clear embossing powder. 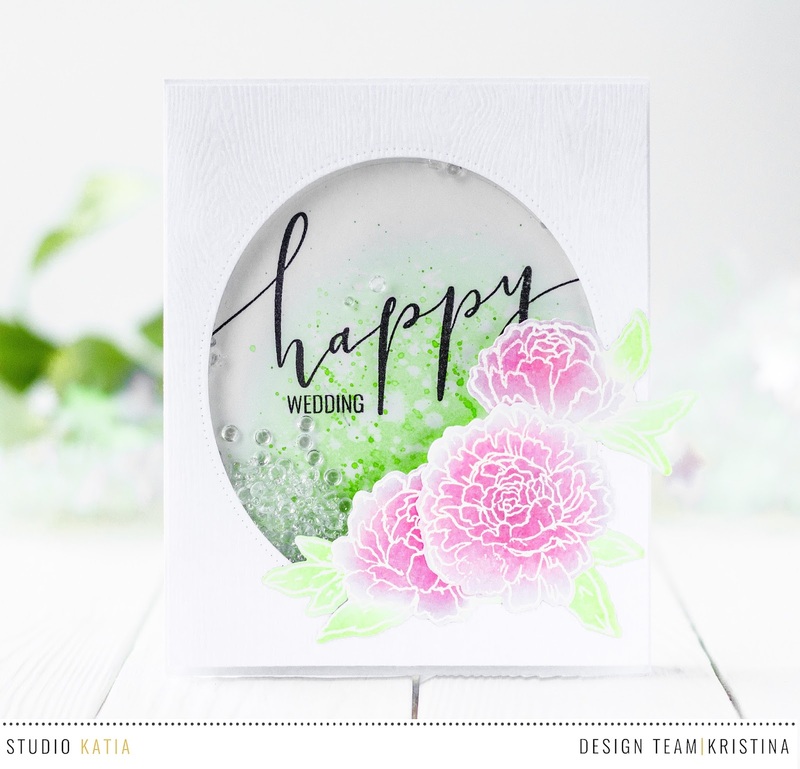 ￼Then I toned the flowers with pink and green distress ink using a mini ink blending tool, and die cut the images with their coordinating dies. I blended some light green distress inks onto my background and sprinkled with water. After my background was dry I stampted the Happy Wedding sentiment from Happy Stamp Set in VersaFine Onyx Black black ink. Next I die cut a window on my shaker panel using largest oval die from Dotted Ovals Creative Dies set. I put the shaker together adding Sparkling Crystals and adheired all the ellements together using foam tape.